Last week we talked about the earliest beginnings of the American whaling industry during the Colonial Period, including off-shore whaling. At the end of that blog post, I promised to spend the next article in the series discussing Nantucket and the Quakers. Now, seriously, Nantucket Island was not the only only whaling homeport, but it was incredibly influential – particularly during the 18th and early 19th Centuries. Fascinatingly, Nantucket Island became a society created, influenced, and driven by the whaling industry. Today, we’ll take a closer look at that culture and it’s farther reaching influences on the American whaling industry in the 19th Century. 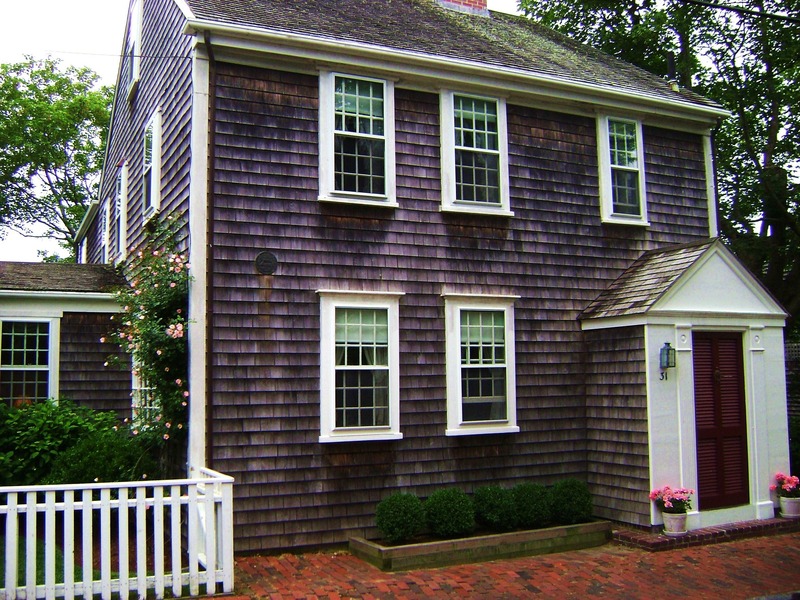 Approximately, thirty miles south of the Cape Cod shore (Massachusetts) sits Nantucket Island. It’s about forty-five square miles of land. 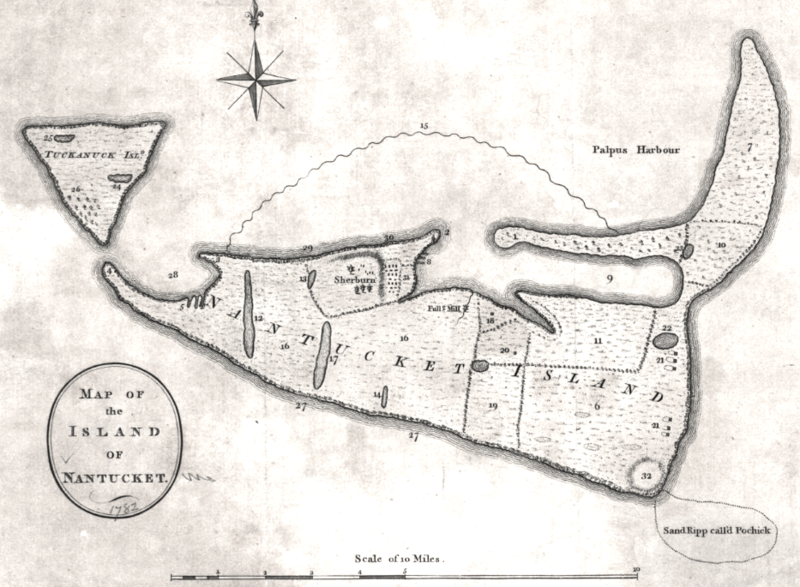 In Colonial Days, a British earl deeded the island to Thomas Mayhew, and in 1659, Mr. Mayhew sold parcels of the island to lucky “investors.” These original settler families would consider themselves “islanders” in the later decades. They built a town near the harbor and homesteads elsewhere on the island for their farming and agriculture. Whale carcasses washed ashore on Nantucket, and, similar to their neighbors on the mainland, the Nantucket men started off-shore hunting, pursuing a new economic venture. They noticed that their island was directly in the right whales’ migratory path, and they didn’t want the mainlanders to get all the money from whale oil. Anxious to learn the developing “art” of whaling, the Nantucketers invited a Long Island whaleman to come live on the island; they offered him a house and money, if he’d only come. But that fellow never arrived. Instead, Ichabod Paddock from Cape Cod arrived in 1690 and built the beginnings of the whale “fishery” on Nantucket. As mentioned last week, the early ventures were based near the shore, but slowly the boats were redesigned to venture farther out in pursuit of the whales. In 1712 – as the legend goes – Christopher Hussey of Nantucket was blown out to sea when he was hunting right whales. 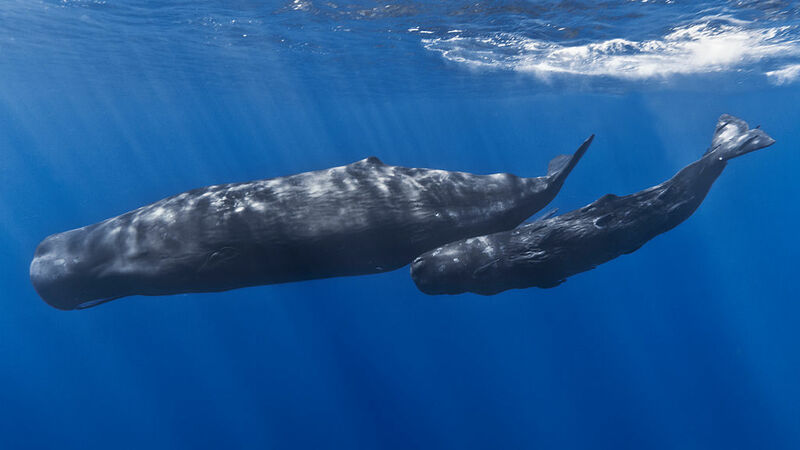 He and his crew met, fought, killed, and towed back to the island: a sperm whale. That revolutionized Nantucket whaling. Discovering the high quality oil in this whale, the Nantucketers started developing ways to make longer voyages. Inventing, borrowing, and stealing ideas, they created large, sturdier ships to venture out on long voyages, searching for the deep sea dwelling whales of profit. The deep water whaling voyages and industry had begun. Quakerism was built on the ideas of direct revelation from God, rules of behavior, pacifism, and renouncement of worldly ambitions and wealthy displays. However, they weren’t against hard working and making money. 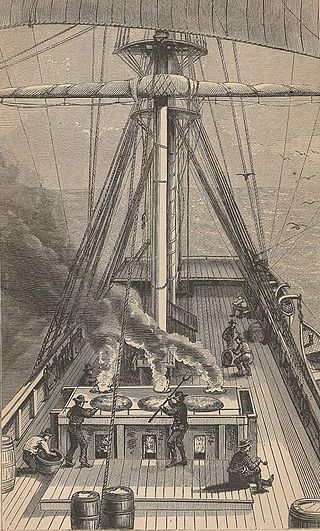 Whaling voyages offered money, and since the Quakers weren’t supposed to display their wealthy, they reinvested it in their grand business venture – creating a wealth base that kept the industry afloat for decades. We should note that by the early 1800’s, there were two Congregationalist churches on the island – though the original Mrs. Starbuck of Nantucket would probably have been spinning in her grave if she’d known. Still whether through Quakerism or other Protestant denominations – a religious atmosphere dominated the Nantucket whaling community. Under Mrs. Starbuck’s influence, THE first families converted to Quakerism. They also started marrying, interconnecting the families and building a dynasty that controlled the whaling industry of Nantucket. As the decades went by, this dynasty controlled the money, owned the ships, hired the crews, made the great profits, and decided what would happen (and not happen) for the Nantucket society which was firmly anchored around the sea and whaling. However, these clannish first families needed other people to help with the dirty work on whaling ships. So, they brought off-islanders to Nantucket, hired new crews in foreign ports, or sent out ads to mainlander ports to get crews. Problem solved. Religion and clannish-ness wasn’t the only thing remarkable about about Nantucket society. It’s culture was entirely shaped and influenced by the whales, the voyages, and the sea. The whales. They were the major source of income for the island. Pursuit of the whales prompted longer and longer voyages. Those voyages temporarily broke-up families, leaving a wife and children at home for seemingly endless months while the man hunted whales at the far corners of the globe. Needing something to do and a steady income, some Nantucket women opened shops in town, selling dry goods and variety of other supplies and luxuries. Details about Nantucket life revolved around the whaling industry, and it wasn’t just about voyages, lonely families, and onshore occupations. For example, the location of a home was based on the man’s position in the whaling industry. Ship owners lived higher up on the bluffs, and the lower a man’s rank – the closer he had to live to the docks and the water. 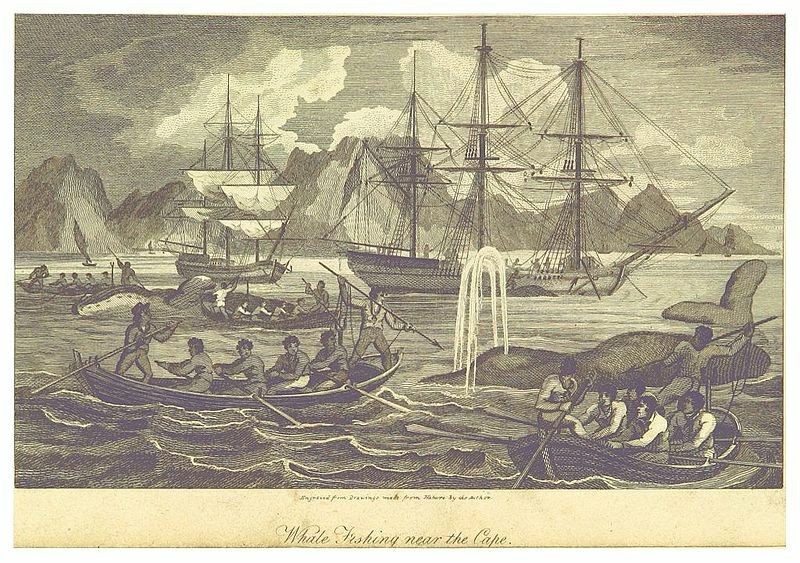 Even clothing could feature elements directly related to a man’s success in whale hunting. An island has limited resources, even if everyone keeps investing. Also, after decades of clannish-ness, Nantucket got a reputation. Sure, they had a good name for whale hunting and financial success. But news eventually got around that off-islanders weren’t allowed into the upper echelon. Every clan will have it’s day. Nantucket certainly did – dominating the whaling industry through the 18th and early 19th Century. Nantucket looms large and holds a rightful place in the history of American whaling. The Quakers and “Island Families” of Nantucket used their ingenuity and work ethics to build a financial powerhouse and an industry dynasty. They deserve their place in history and their chapters of glory. Their power and influence created a unique world with its epicenter on a small island and its reach covering the circumference of the world. Next Historic Gardening: Practical & Pretty, Kitchen or Formal?